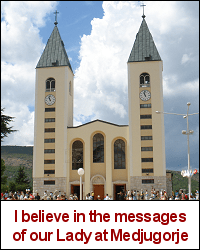 In my book, The Secrets of Medjugorje and Garabandal Revealed, there is a chapter titled: “On Speculative Theology and Eschatology”. This chapter is also available, by itself, as a free article in PDF format here. 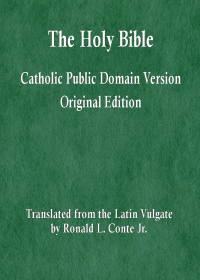 “Some Catholics are uncomfortable with the idea that not everything in the Catholic Faith is infallible. They imagine that all teachings of the Magisterium are infallible. They don’t understand that the ordinary teachings of the Magisterium are non-infallible. They consider that it is better to believe only what the Magisterium explicitly states, and to ignore the teachings of Tradition and Scripture because their understanding of Tradition and Scripture is fallible. They fail to realize that their understanding of magisterial teachings is also fallible. If they were to carry this process of rejecting all that is fallible to its logical conclusion, they would have to reject their own fallible use of reason and their own fallible understanding of all that the Magisterium teaches, leaving them bereft of both faith and reason. “Are you uncomfortable with the idea that some teachings are non-infallible, that the teaching of priests, religious, and theologians is fallible, and that any person’s understanding of even an infallible teaching is fallible? Get comfortable with it, or live with that discomfort. You are unable to believe and practice the Catholic Faith without all three: the infallible, the non-infallible, and the fallible. If you begin by rejecting all that is fallible, you will end by rejecting even what is infallible. Then you will have no faith at all. Gallery | This entry was posted in arguments, Magisterium, theology. Bookmark the permalink.